In addition to leaving behind their feathers, eggs, and droppings, pigeons put people at risk for disease. Unfortunately, pigeons are a huge problem in the San Francisco Bay Area. If you need bird control services near San Francisco , call Premier Rodent & Bird Proofing. We are a family owned and operated business with more than 30 years of experience to offer. We also offer a one-year guarantee on all of our work. Here are some reasons why you should schedule a bird removal service before pigeons settle down around your house. A mating pair of pigeons will quickly turn into a family. Their droppings not only make a mess of windows and patios, but they also kill vegetation and can permanently discolor car paint. Pigeons and their droppings carry a range of diseases, including fungal diseases like histoplasmosis, psittacosis, and encephalitis. 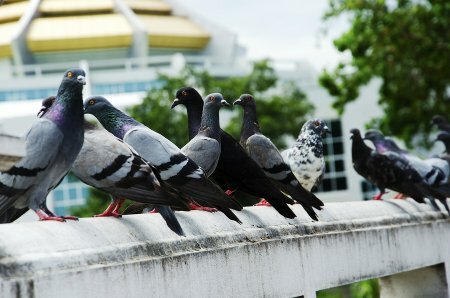 Pigeons are attracted to the smell of pigeon droppings, so it’s important to call a bird control professional if you see pigeons accumulating near your home.